- Whatever name you know it by, our favorite time of the year is just around the corner! How will you be celebrating? 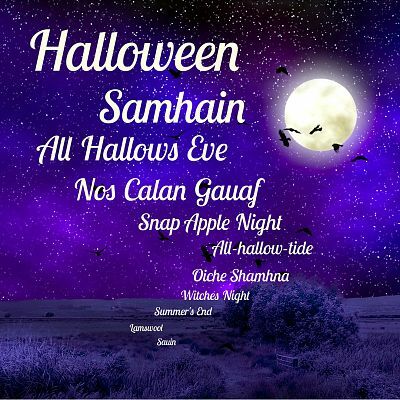 Here are just a few of the names we've collected over the years: Halloween, Samhain, All Hallows Eve, Nos Calan Gauaf, Snap Apple Night, All-hallow-tide, Oiche Shamhna, Witches Night, Summer's End, Lamswool, Sauin.